We believe community plays a fundamental role in the success of our programs. Building community partnerships and receiving community support creates and maintains a solid platform for our programs to grow. Community engagement can come in many different forms and levels. Waverley Council has been commendable in facilitating their impressive sports stadium to run our Eastern Suburbs class at no cost. They have also made financial contributions that go towards the development of our programs. 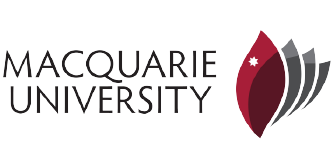 The Soccajoeys Foundation recently became a member of the Health and Wellbeing Collaboration (HAWC) program at Macquarie University, which serves as a cooperative agreement between Macquarie's Faculty of Human Sciences and our Foundation. Over the past four months, second year Physiotherapy students from the university have been performing observation tasks in our classes. Their enthusiasm, motivation and level of engagement with the children have been remarkable. We have also worked closely with staff from Lifestart Co-operative. Their support and professionalism over the past four years have been incredible. We have surrounded ourselves with individuals, groups and organisations that share common values, and that is why we believe that building a strong community is essential for both short-term and long-term improvements in our programs.